Today's (12/19/18) Fort Wayne Journal Gazette has a story about the marriage of two of the NEIFPE co-founders. 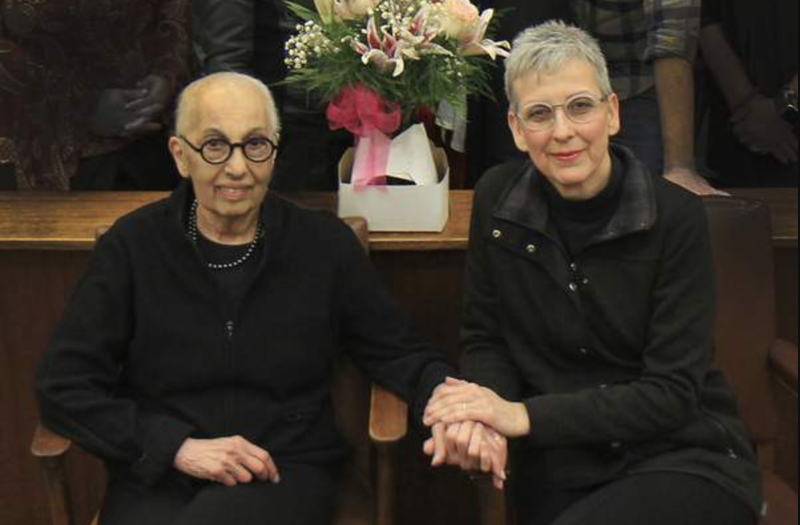 After a series of health challenges, longtime couple Phyllis Bush and Donna Roof decided to do something joyful: marry in a courthouse ceremony. 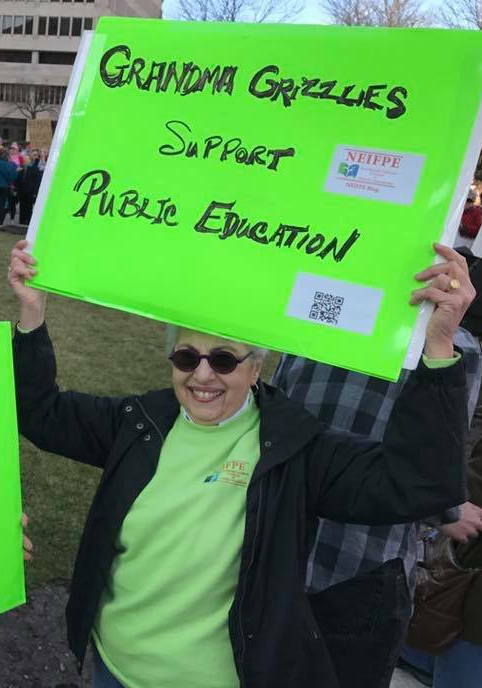 Little did the retired Fort Wayne teachers and public education advocates know just how bright the Dec. 11 event would be. With less than 24 hours' notice from Judge Andrea Trevino – who had Bush for honors English at South Side High School and offered to perform the wedding – former students and colleagues filled the third-floor courtroom as a surprise. 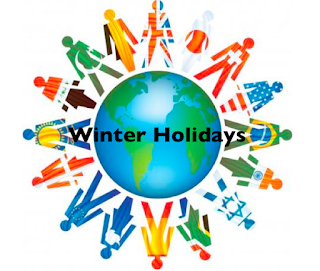 *NOTE: The In Case You Missed It series will not post again until January 7, 2019. 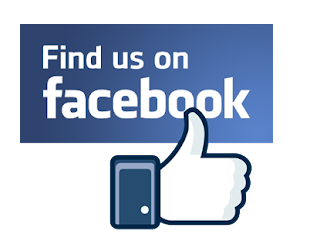 In the meantime, follow us on Facebook and Twitter for the latest national and Indiana education news. IPS doing something right! Maybe our legislators will take the hint for the rest of the state? 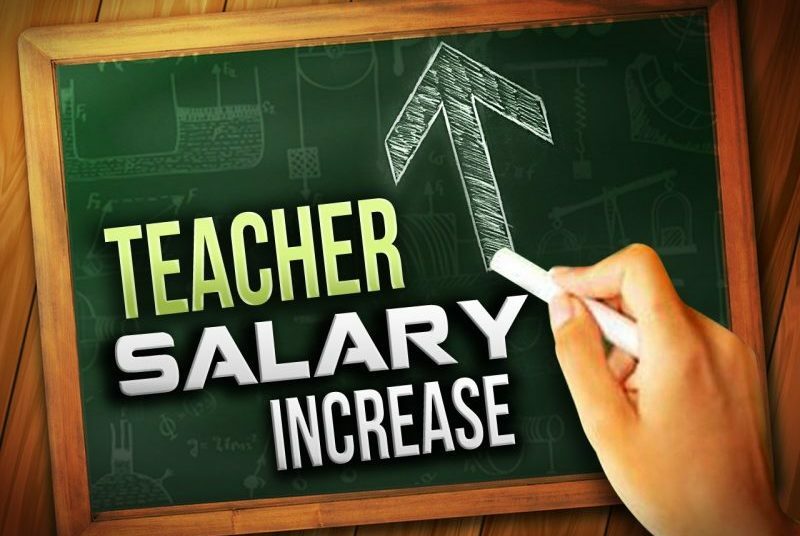 A month after voters approved a vast funding increase for Indianapolis Public Schools, Superintendent Lewis Ferebee’s administration and the district teachers union have reached a tentative deal for a new contract that would boost teacher pay by an average of 6.3 percent. The agreement was ratified by union members Wednesday, according to a statement from teachers union president Ronald Swann. It must be approved by the Indianapolis Public Schools board, which is likely to consider the contract next week, before it is final. Swann did not provide details of the agreement, but it was outlined in union presentations to teachers on Wednesday ahead of the ratification vote. The deal would cover the 2018-19 school year, and teachers would receive retroactive pay back to July 2018. The prior contract ended in June. If you recall, thousands of Kentucky teachers walked out last spring and rallied at the State Capitol to protest Governor Matt Bevin’s pension plan, which bottom line eliminated defined benefit pensions for new teachers. That bill passed in the middle of the night, tucked into a sewer bill. The Kentucky Supreme Court just struck it down. Legislators blaming everyone but themselves and their "choice"-happy, money wasting friends. Facing a tight budget year and widespread calls for teacher pay raises, some Indiana politicians are questioning whether school districts are spending too little of the funding that they already receive in the classroom and too much on administration. The lawmakers point to statistics from the Office of Management and Budget showing that 57 percent of the $11.9 billion state dollars schools spent in 2016 were used in the classroom. 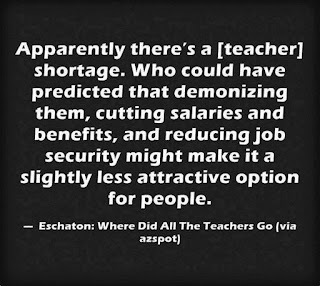 And a report using data from the National Center for Education Statistics shows personnel hiring across the country has dramatically outpaced enrollment, with non-teacher hiring dwarfing that of full-time teachers. Indiana educators watched quietly last spring as teachers in West Virginia, Kentucky, Oklahoma and Arizona staged rallies, protests and even walkouts for higher pay. Look for that to change next month when the Indiana General Assembly convenes for its biennial budget-writing session. The Indiana State Teachers Association released its 2019 legislative agenda Monday, and boosting teacher pay is at the top of its priority list. 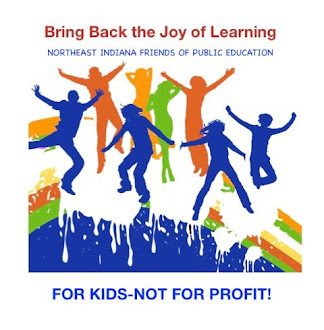 Teresa Meredith, president of the Indiana State Teachers Association, said Monday the multiyear study proposed last week by the Republican chief executive would only reveal what she said most Hoosiers already know: "Teachers need to be valued, respected and paid as professionals." "Elected leaders must do more to declare teacher compensation a priority in this session," Meredith said. "This issue can't wait. We expect action in 2019. "Many teachers have gone as many as 10 years without a meaningful pay increase, all while facing increased insurance costs, paying for their own classroom supplies and taking on second and third jobs just to make ends meet." The Spice Girls Get Married! Two of NEIFPE's founding members tie the knot. Celebration! The quote below is from Diane Ravitch's blog. 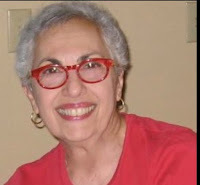 As readers of this blog know, Phyllis Bush writes regularly about her ongoing battle with cancer, which she derisively calls “cancer schmanzer.” In recent months, she got a colostomy bag (“Sherlock”), and she has had some rough bouts but kept her determination and humor. Today, she has an announcement to make. She and her best friend Donna Roof got married. Since this happened on the spur of the moment, they relied on former students (an attorney and judge) to set the wheels in motion, fast. Blessings and congratulations to the happy couple! Hey, Mike Pence, eat your heart out! US Education Department employees are, apparently, just as demoralized about Betsy DeVos's policies as are the rest of us! 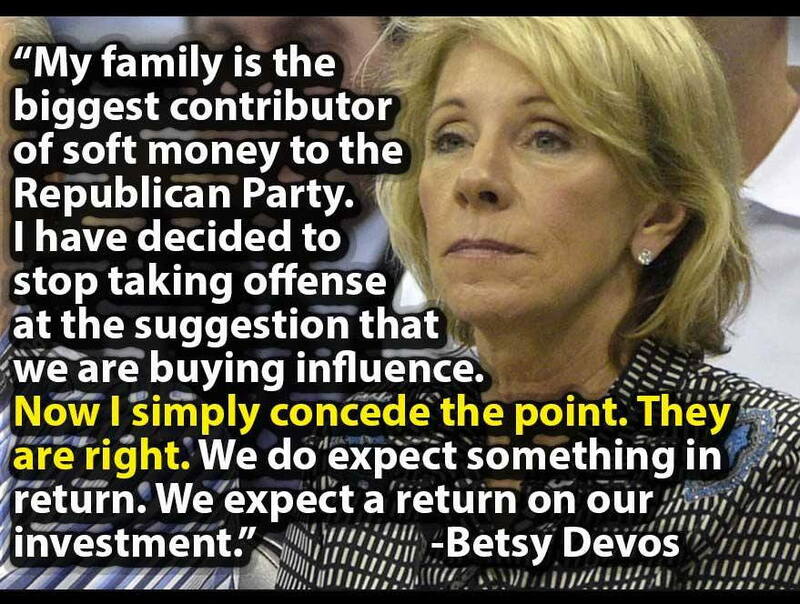 Secretary of Education Betsy DeVos has never worked in a public school, never attended a public school, and never send her children to public schools. How does she know anything about public school teachers? 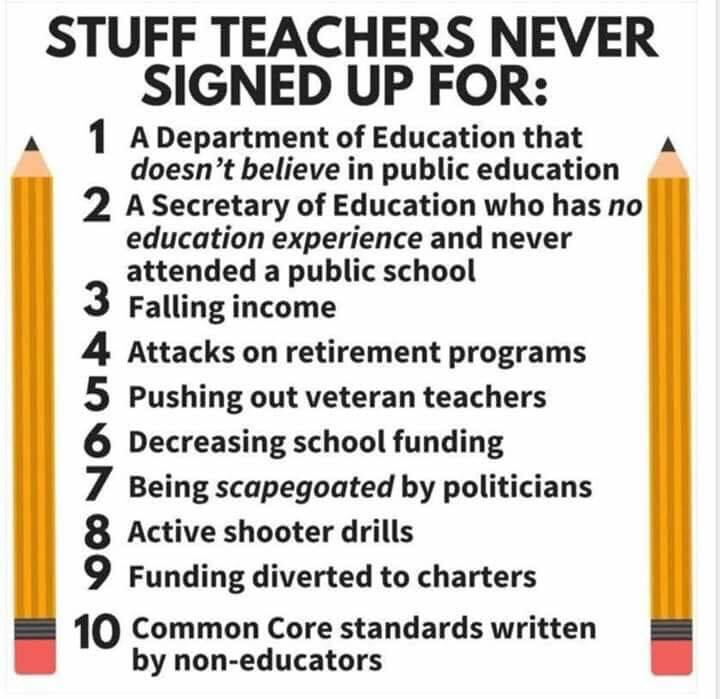 ...DeVos likes to toss in the “teachers care more about their jobs than children” line, one of the most insulting points reformsters use, as if teachers entered the profession strictly for the fame, glory, and riches. If it needs to be said again, I’ll do it: High stakes testing is bad for children. Bad teacher assessment systems are bad for children. Sending one child to a private school at taxpayer expense while simultaneously stripping resources from the school that nine other children still attend—that’s bad for children. Stripping teachers of job protections strips them of their ability to stand up for their students—and that’s bad for children. 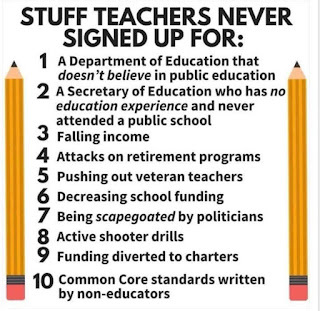 Teachers have opposed reformy policies because those policies are bad for children. There's Jennifer Sullivan, the 27-year-old homeschooled college drop out (and we're talking Liberty University here) who will be head of the House education committee. There's the longtime grifter and profiteer who, now term-limited out of the legislature, is looking for a new job and has been lined up for education chief (here's another take on just how bad Corcoran is). Both of those have been widely noted. 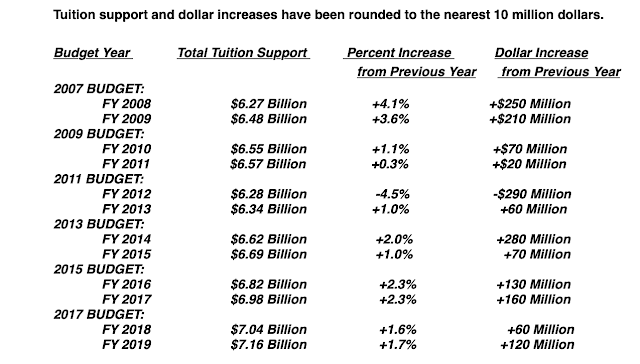 But for a further sign of how badly DeSantis wants to cut up public education and sell off the parts, just look at his education transition team. This will take a bit, but you need to see the full picture. It goes without saying that closing a school is disruptive to students. When charter schools close, many students return to their neighborhood schools and struggle to catch up. Dislocated students are less likely to graduate. A 2013 study found that school closures have contributed to Chicago’s high rate of youth incarceration. The Montana Supreme Court declared a law unconstitutional that was intended to offer tuition tax credits (aka vouchers) for private schools. The state continues to drain tax revenue from public schools to pay for vouchers and privately run charters. Does this help students? When he was the Indiana Governor, Mitch Daniels appointed members of the Purdue Board of Trustees. Now they're paying him back. 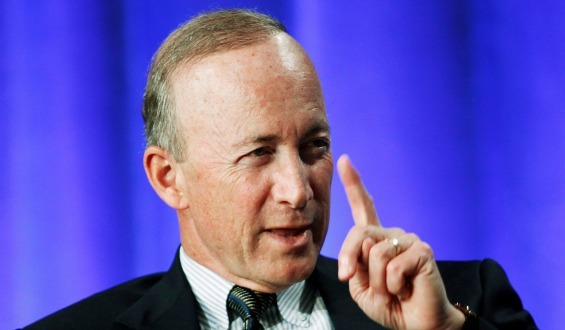 Purdue University President Mitch Daniels will be eligible for nearly $280,000 in bonus pay and a $250,000 retention payment for this school year. ...Daniels will have $430,000 in base salary for the 2018-19 school year, with total possible pay of $959,500. Daniels was paid $830,000 last year, including $210,000 in bonus money. Can students pray in public schools? Can teachers say ‘Merry Christmas’? What the law allows -- and forbids. Looking for a Grand Slam at the Bottom of the 9th! 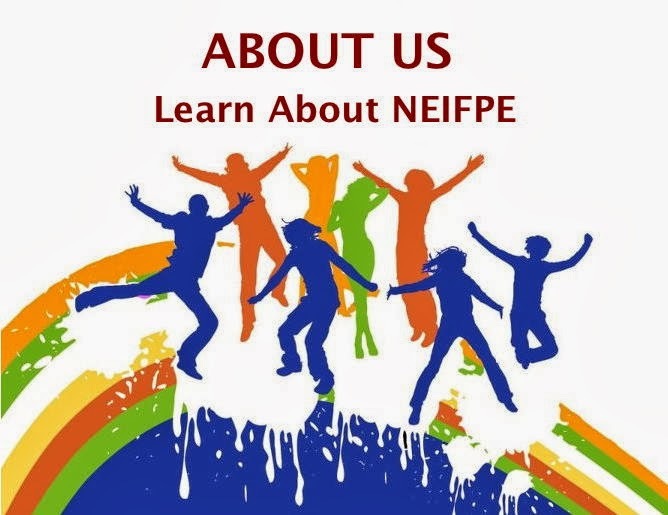 NEIFPE's co-founder, Phyllis Bush, writes about her battle with cancer. We are proud of her strength and courage. 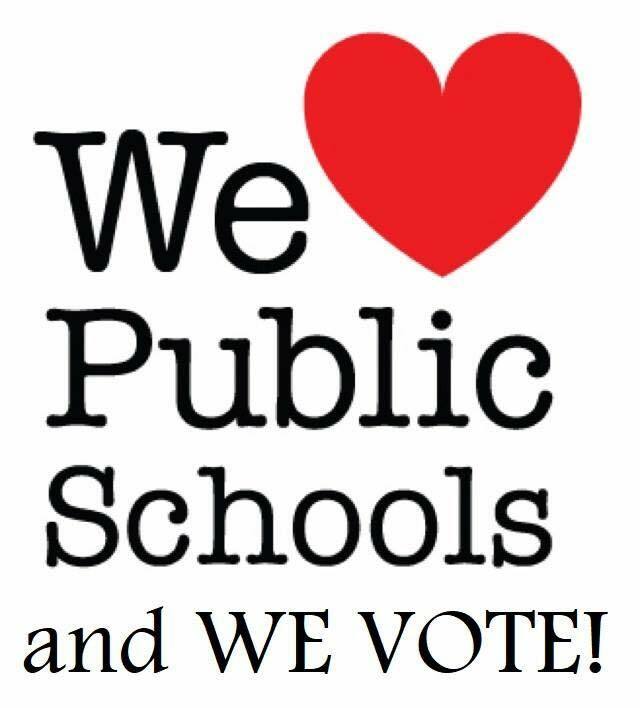 Whether it is taking a kid to the zoo or to Zesto for ice cream, whether it is writing a letter to your legislators, whether it is running for office, whether it is supporting your favorite charity, DO IT! Monday morning quarterbacks are of little use to anyone. Whatever you do, live your life to the fullest. Once again, do what matters to you. 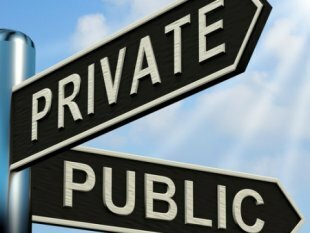 Indiana StatehouseThe proposal, an amendment to Indiana’s ESSA plan, is open for public comment until Dec. 21. Once it’s submitted by the state, hopefully in January, the U.S. Department of Education will have 90 days to decide whether to approve it. 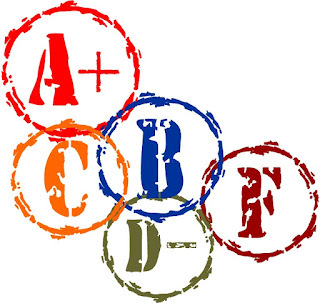 State Takeovers of districts with low scores have been a disaster. The reason for low scores is always high poverty, and the state takeover doesn’t change that fact. State after state has adopted this strategy and failed. Turns out that the folks in the State Education Department are not magicians. The Education Law Center, a civil rights group, calls for an end to the charade in New Jersey. Charter schools open and close like day lilies. 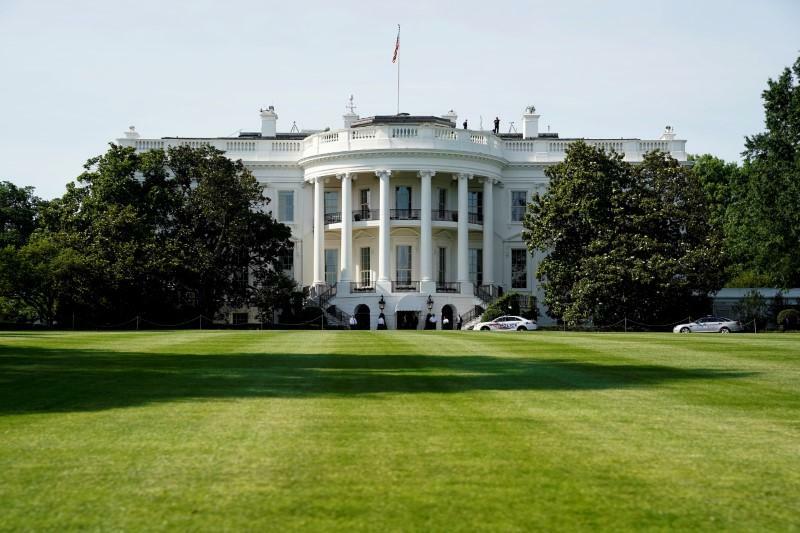 The entrepreneurs lobby legislators to get money and tax breaks. 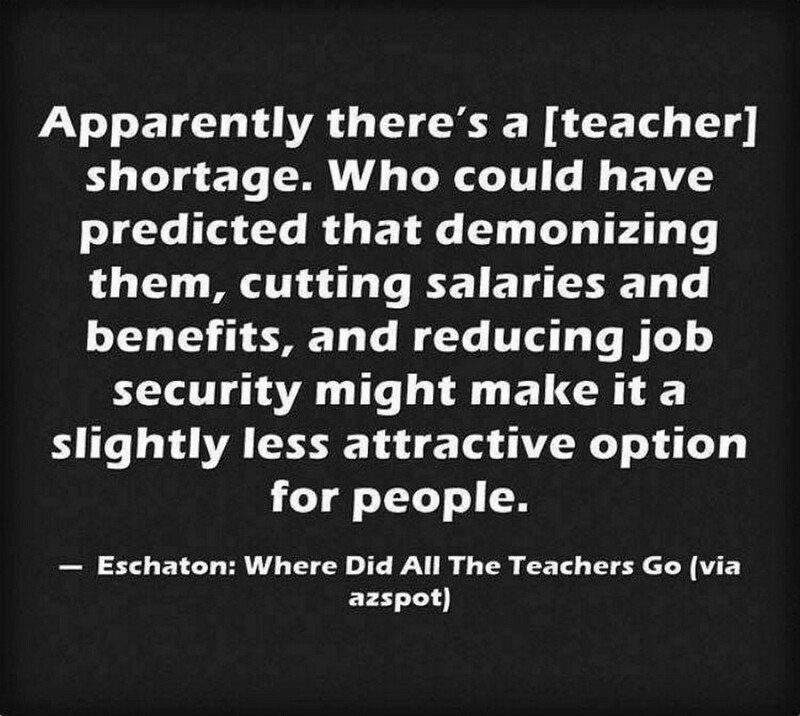 They pay teachers as little as they have to. 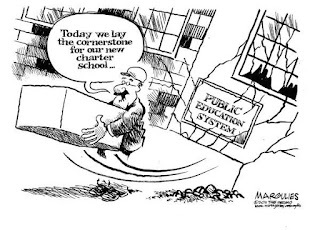 They siphon money away from public schools, which are stable fixtures in their community. 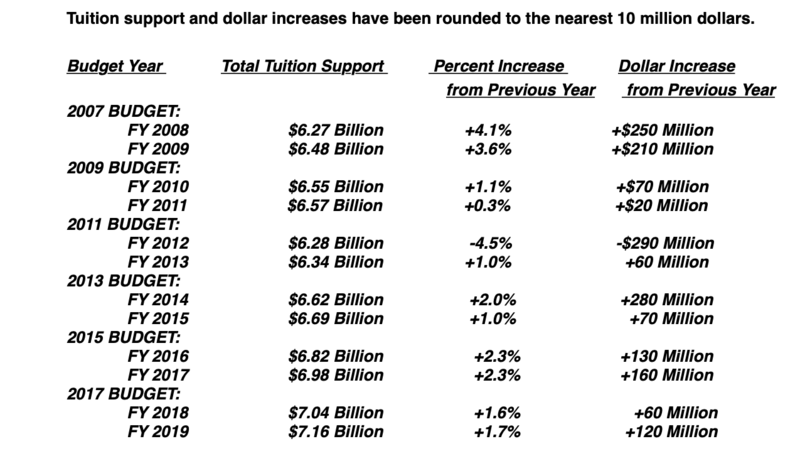 The legislature, with the help and encouragement of previous governors has already allowed teacher pay to slip more than 15% over the last 15 years when adjusted for inflation. 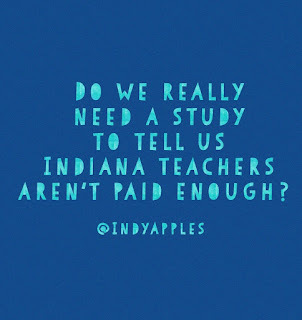 They have stripped teachers of their seniority, reduced collective bargaining, and basically done whatever they could to make teaching in Indiana less than attractive. 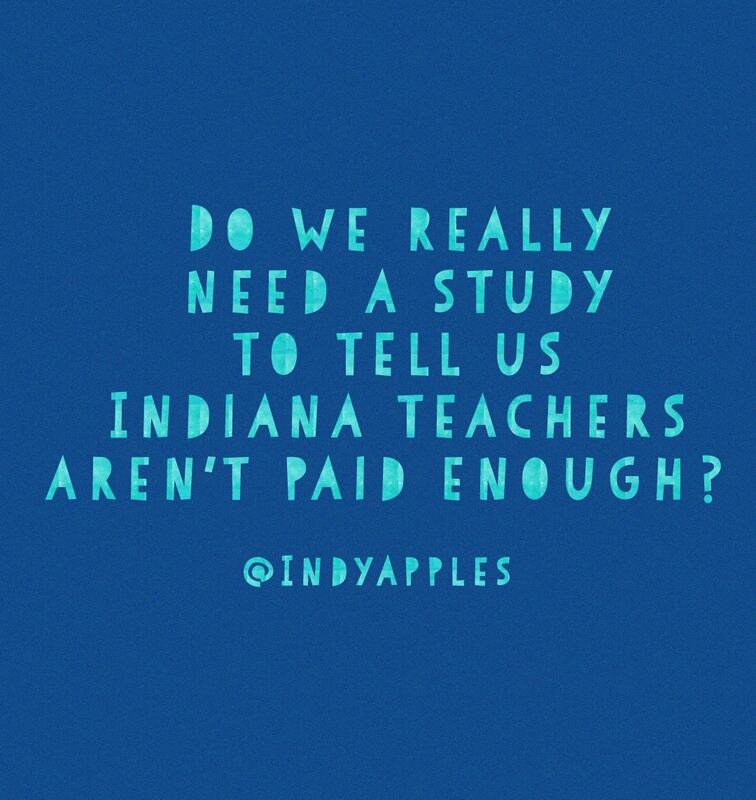 So, of course, Governor Holcomb wants to "study" teacher pay to see if Indiana can afford to educate their children. NOTE: Indiana has spent more than half a billion dollars on school vouchers and haven't heard anything from the Governor about studying that boondoggle for religious schools. And we wonder why there is a shortage. 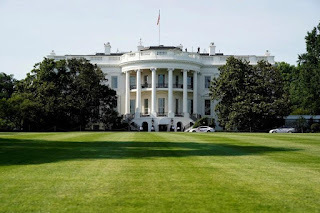 George H. W. Bush: A Tribute and a Happy Memory of My Time in D.C.
I’m in an airplane, flying from NYC to L.A., where I will attend the annual dinner of LAANE, the Los Angeles Alliance for a New Economy. This group fought for and won a battle to raise the minimum wage. I believe and hope they will join the struggle to support public schools and save them from the clutches of the billionaires. As I fly, I’m watching the state funeral of President George H.W. Bush. The services are very moving. People speak of his decency, his sense of honor, his humility, his dignity, his loyalty to friends and family, his patriotism, his sense of duty and courage (he volunteered for combat duty in World War II right out of high school). Trump is sitting in the front row, scowling and looking uncomfortable. It’s not about him. The remaining board members could appoint new members if resignation letters are tendered, according to a state takeover law that stripped authority from the board, relegating it to an advisory body. 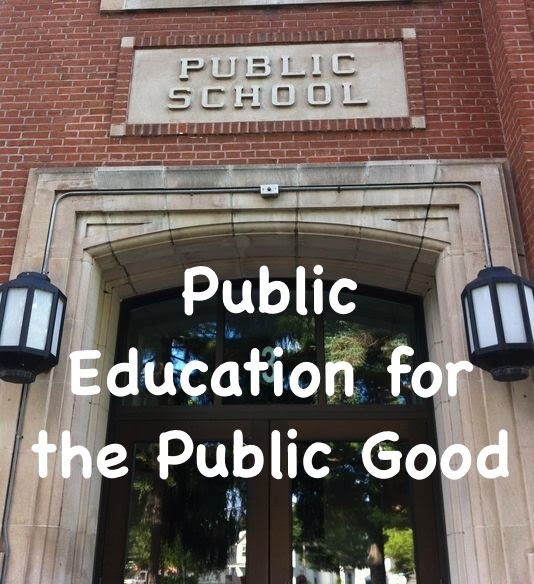 ...In addition to removing all authority from the school board and giving it to an emergency manager, the state took per diem meeting pay and the annual $2,000 stipend from elected board members. Former state schools chief Tony Bennett disappeared from Indiana's education scene after his 2012 re-election defeat. Even when he returned to the state after a brief stint in Florida's top education post, Bennett kept a low profile. But his name surfaced where he is not welcome – Gary, Indiana. A subsidiary of the consulting firm he's now associated with has been paid nearly $4.2 million to manage the distressed Gary Community School Corp. Gary lawmakers Vernon Smith and Eddie Melton have called for the contract with MGT Consulting Group to be dissolved, charging Bennett played a role in creating the school district's financial problems. “It can be reasonably argued that Tony Bennett played a substantial role in putting Gary schools into the mess that it finds itself by championing policies that treated public schools like second-class citizens in favor of charters, vouchers and home schools,” Smith said. Sen. Eddie Melton (D-Gary) and Rep. Vernon Smith (D-Gary) say former Superintendent of Public Instruction Tony Bennett’s ties to the management firm illustrate a lack of transparency from the state and raise concerns about his potential influence in the recovering district. Hoosiers voted Bennett out of office after his first term, and critics say it’s because he supported policy changes favoring school vouchers and charter schools. 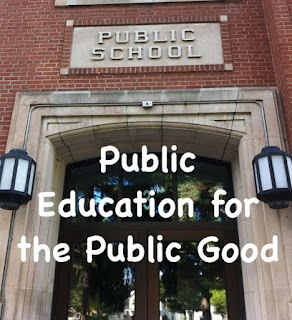 Public education advocates say those changes ultimately and drastically harmed public schools. Now, Bennett sits on the board of directors for the consulting group tied to the management firm working to fix the Gary schools’ budget, MGT Consulting. Who should replace Lewis Ferebee as superintendent of Indianapolis Public Schools? It would be nice if this time they would hire someone who cares about the community and not about their career or about choice options for a chosen few. Indianapolis’ education community is already mulling what kind of leader should replace Superintendent Lewis Ferebee, who announced Monday that he’s leaving to head D.C. public schools. 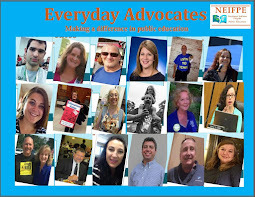 With the 31,000-student school district in a state of flux, school board members and advocates say there is no time to waste. The district closed high schools last year. Two candidates opposed to innovation schools — the group of charter and charter-like schools managed by outside operators that was one of Ferebee’s main achievements — were recently elected to the school board. And despite the passage of a referendum to send more taxpayer money to schools, more large cuts are looming. Los Angeles: Our Public Schools Are Not for Sale! 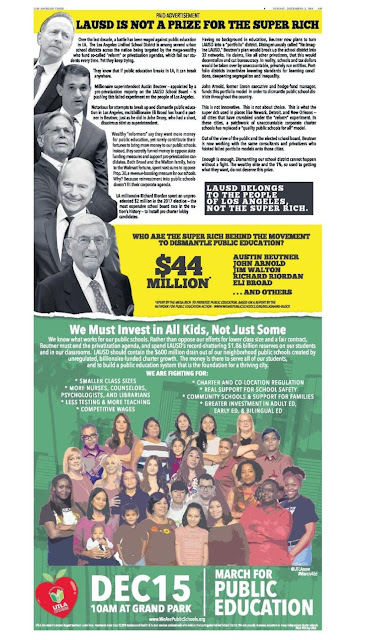 This full-page ad appeared in the Los Angeles Times a few days ago. It was paid for by the United Teachers of Los Angeles. Carroll High School Principal Brandon Bitting knows the state's new graduation requirements can be overwhelming. That's why he plans to ease families into the expectations at freshman orientation in February. He plans to take a “bite-size” approach in explaining the mandates. 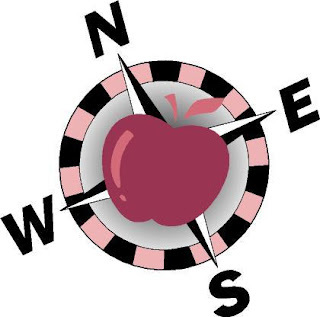 “I don't want to panic people,” Bitting told the Northwest Allen County Schools board Monday. Thursday marks a year since the State Board of Education voted 7-4 to institute additional graduation requirements despite hours of testimony against the plan. FEREBEE LEAVES IPS FOR D. C.
IPS Superintendent Lewis Ferebee was named as the next leader of Washington, D.C. public schools today by the mayor. 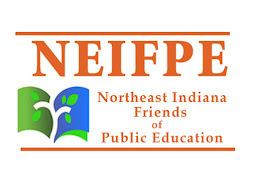 This new high profile position will hold national influence as Ferebee will likely continue his work started in Indianapolis five years ago to turnaround struggling schools. He's expected to start this position full-time on January 31st. Ferebee will be paid a base salary of $280,000 but he still needs to be confirmed by the council of the District of Columbia. Ferebee wants to walk away from the mess he helped create in Indianapolis. His candidacy is the latest signal that Ferebee, who has become a fixture of certain national education-policy discussions over his five years in Indianapolis, is preparing to leave the city for a larger district. He was in the running for the top post in Los Angeles earlier this year, though he eventually withdrew. Ferebee’s job in Indianapolis may be about to get more difficult: Two critics of the district’s current direction were recently elected to the school board. And while tax measures to give the school system more money passed, the cash-strapped district is expected to make substantial cuts to its budget in the coming years. School "choice" means the school gets to choose. But now we know that none of its claims were true. We're glad that superintendents are speaking out. Hopefully they'll get a bit louder! "...I think we should go back to letting teachers teach. Let them be the professionals they were hired to be." “We are teachers because we care about our students, but many of the laws being made are not done by those who have been educators themselves. An idea can look good in theory, but not fit in the classroom as you may think. Educating our children is our future..."
Perhaps the lesson to be learned here is that charters that can close and walk-away are NOT a good idea in any state. 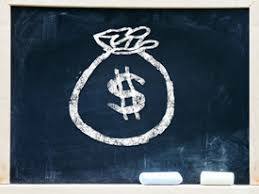 The General Assembly and State Board of Education jumped into "education reform." There has never been enough time for them to analyze what they have done to see if it works. This implies that the purpose of their moves towards privatization has never been about students and their achievement. It's all about the money. 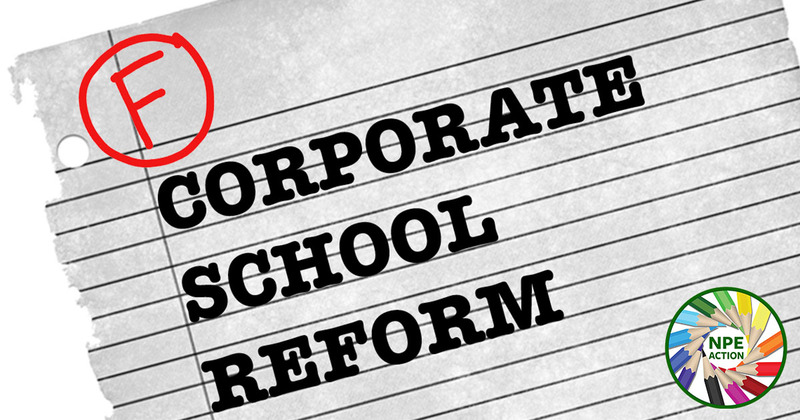 Indiana is closing in on two decades of so-called school reform, with proponents continuing to claim more is needed. But the changes they've championed, beginning with the 2001 charter school law, now have a track record. A measure of the effectiveness of Indiana charter schools should include those opened in Fort Wayne, where another could soon be shut down. Of six charters opened here, only two would remain. Mike Miles, former superintendent of Dallas public schools and former superintendent of a Colorado district, was turned down by the Colorado Springs school board when he applied to open a charter school in a former Macy’s department store in a large shopping mall. Miles led the Dallas district for three tumultuous years, during which time there was a sizable teacher exodus and stagnant test scores, which he had pledged to raise. Miles is a military man who attended the unaccredited Broad Superintendents Academy. Students at Wilder High School in Idaho: Learning on iPads is a Hoax! Ivanka Trump and Tim Cook, CEO of Apple, visited Wilder Elementary School to learn about the future of workforce preparation, which of course involves selling iPads to children in a K-6 school! However, they did not speak to high school students in Wilder, Idaho, who are thoroughly disgusted with (de)personalized learning. Several protested the fraud that Wilder officials were selling to Ivanka and said they were not allowed to speak up. MCCSC bannerBut public schools and school districts have helped validate this questionable policy. 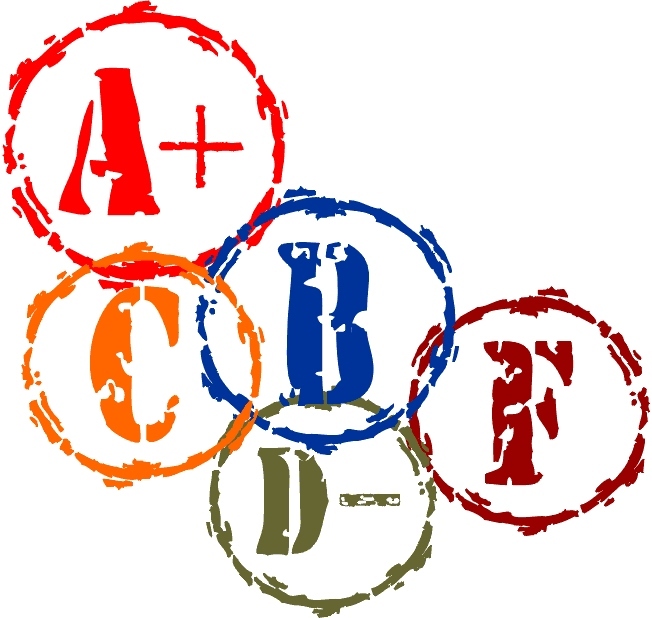 When they brag about their own grades, they’re endorsing the system as a measure of school quality. 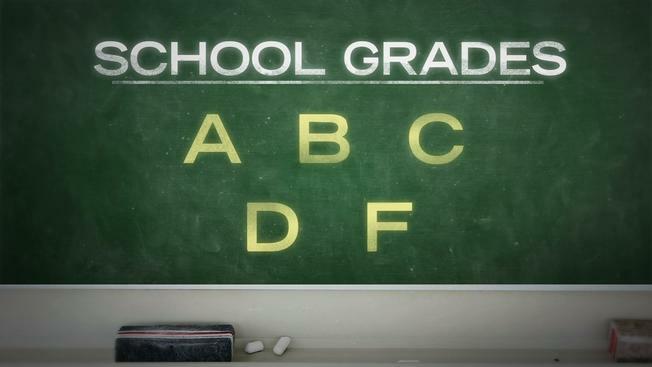 But Indiana school grades are based mostly on test scores, and research suggests test scores tell us more about students’ socioeconomic status than about the effectiveness of their schools. At best, grading schools from A to F is simplistic. At worst, it does real harm by labeling schools and students. 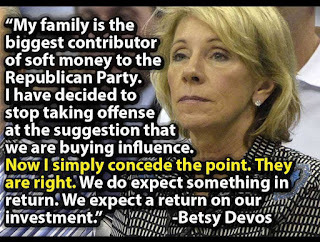 I can’t wait until the House of Representatives begins to question Secretary DeVos about her reversal of civil rights protections, her reversal of federal protections for students with debt incurred at fraudulent for-profit colleges, and her continued efforts to destroy the federal role in protecting students, whether in K-12 or higher education. Instead of protecting those in need, she protects predators. Twenty-five teachers and support staff at Roosevelt College and Career Academy were laid off Nov. 16, just two days after learning their school was given an A in the State Board of Education's annual assessment. EdisonLearning, a private organization contracted six years ago by the state to operate the school, said the layoffs came as a result of low enrollment numbers and an effort to improve overall school operations. OK GOP, "PUBLIC ED TOO EXPENSIVE." Why is it the GOP so lacks commitment to the common good? The Republican Party in Canadian County in Oklahoma has expressed its desire for an end to public funding of education.